Flashback Friday: A weekly article brought to you from the vaults of top BriSCA photographer Colin Casserley. 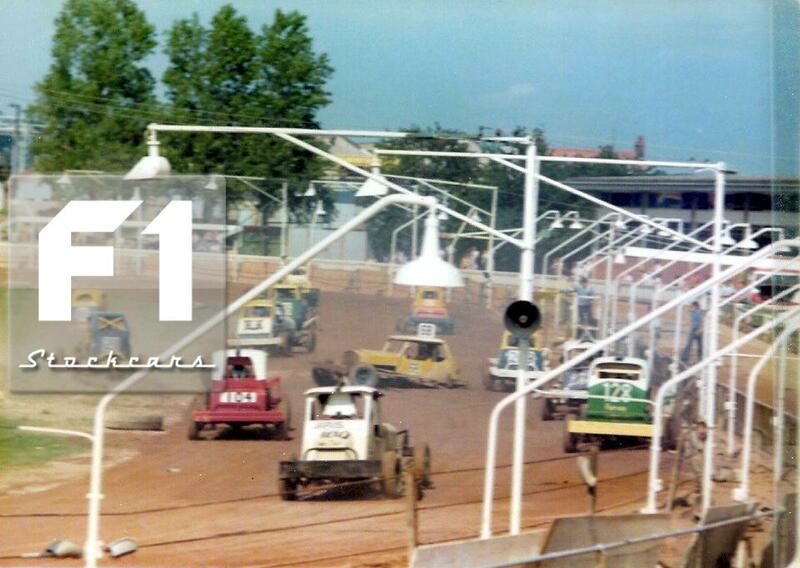 As we move closer to the commencement of the BriSCA F1 Stockcar season, Flashback Friday starts to draw to a close. 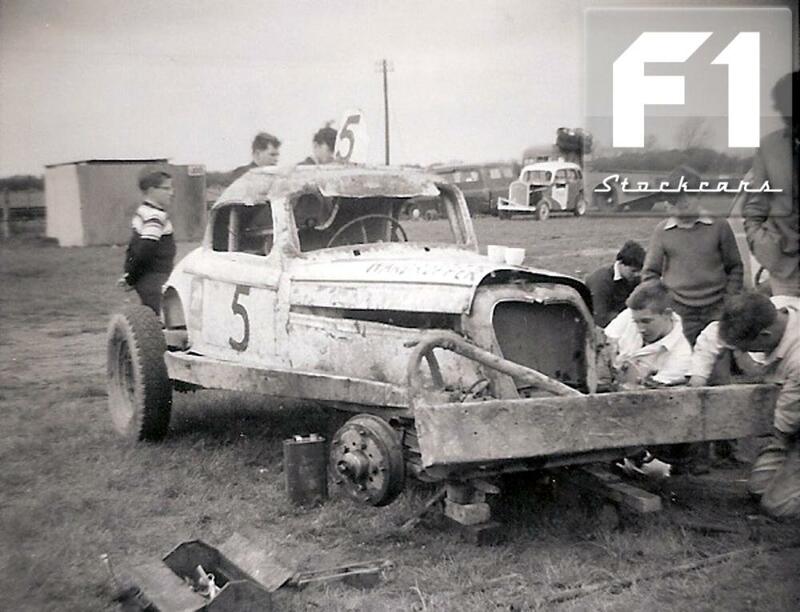 After concentrating on areas of the country that are/were hotbeds of racing, this week we have a look at some drivers who were just off the beaten track as far as Stock car racing is concerned. Drivers who had more distance than most to travel to their nearest track. 1. 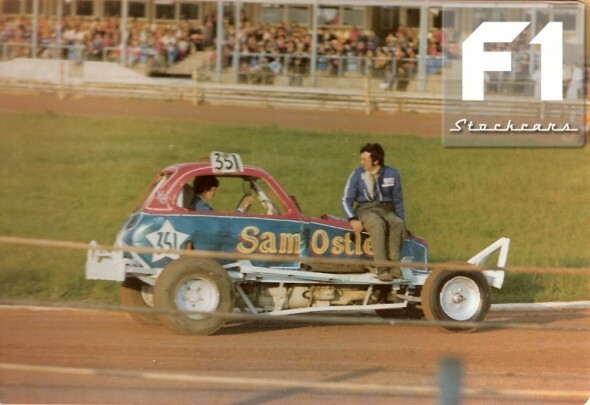 We start with “Travelling” Sam Ostle (351). 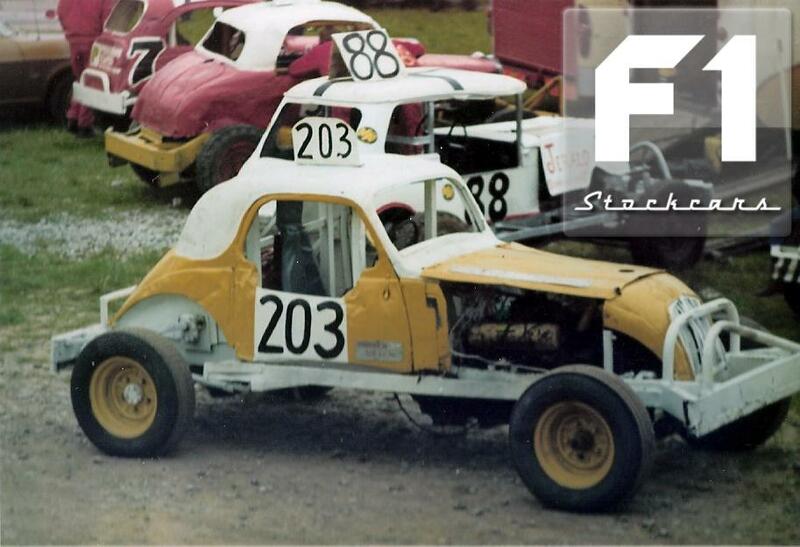 Being based up in Kirkby Stephen, Cumbria didn’t stop Sam travelling to all BriSCA tracks. 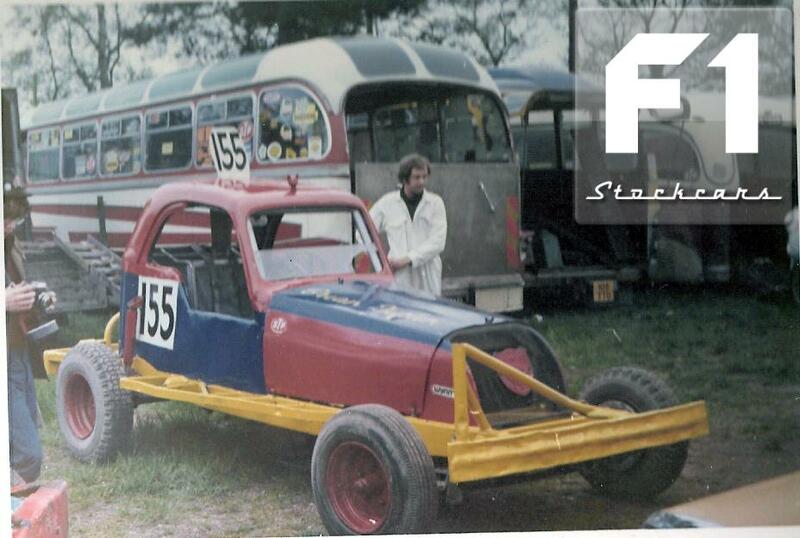 He is seen here in a Brian Powles (154) built machine at Reading. A track that only staged a couple of Friday night meetings. 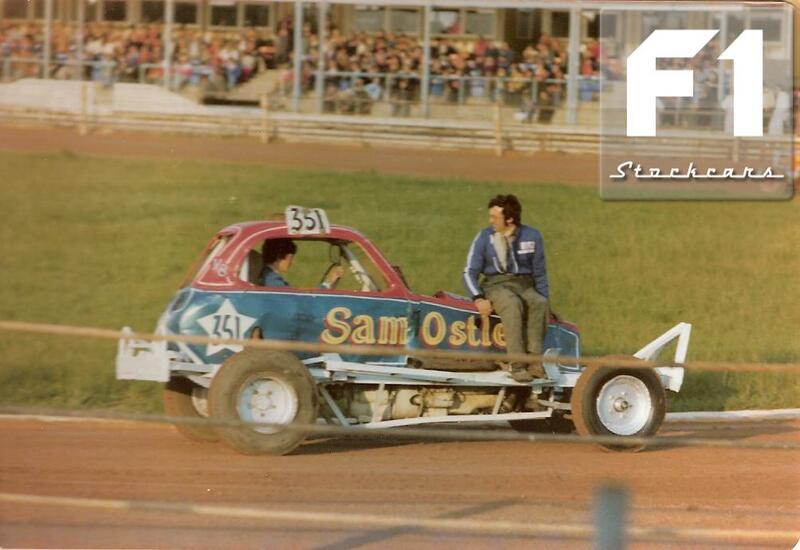 Sam raced several cars but they were always well turned out. 2. Phil Hayhurst (84) was another who did his fair share of travelling. Phil was from Milnthorpe, Cumbria. He is captured here at Northampton in a John Hillam (229) car that came Phil’s way in a part ex, with Phil’s old car going to Marilyn Hillam (144). 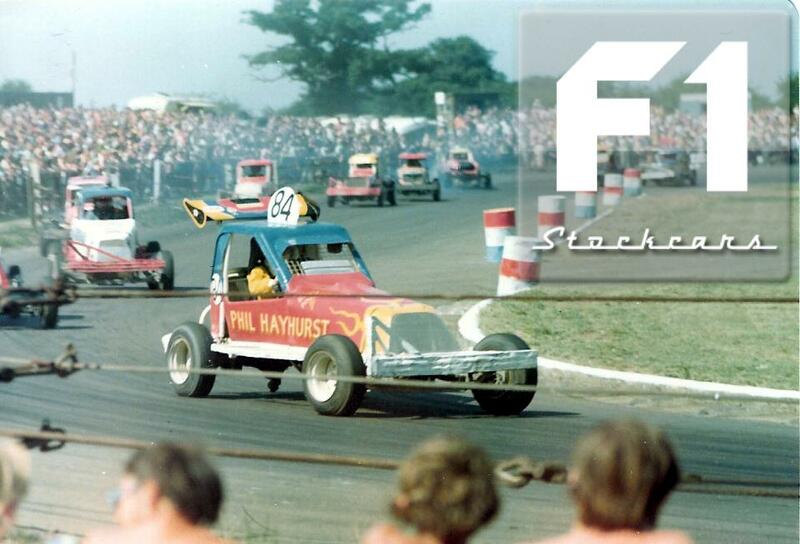 Phil was another driver who travelled to far away tracks such as Brands Hatch. 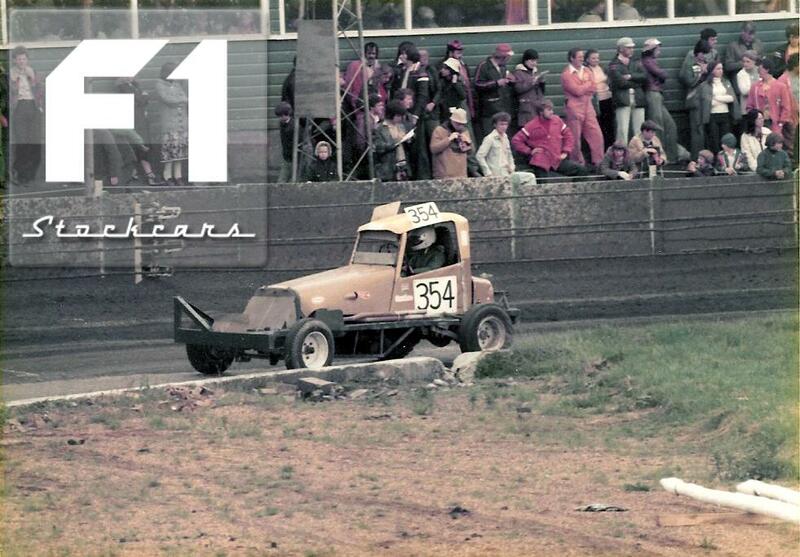 Phil later went on to race f2s (584). 3. Ulverston’s Richard Ainsworth (354) collected 13 final wins on his travels with seven of them coming at his furthest regular running track, Northampton. Richard began racing in an ex Hayhurst car and soon moved up the grades holding a red roof for many years before moving into the Hot Stox formula. 4. 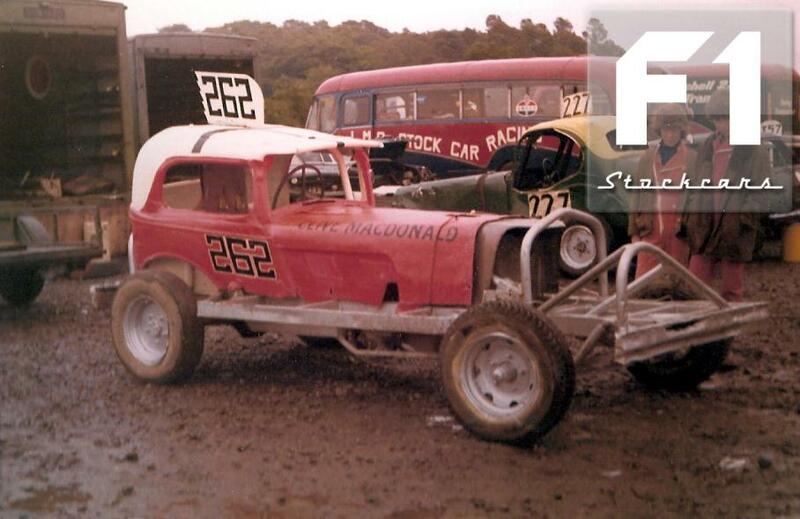 Clive MacDonald (262) from Prestatyn, Wales began racing in 1972 in an ex Nigel Shaw (114) car. His appearances were few and far between until the 1980s when he began to race regularly, including a final win at his local White City, Manchester. 5. Dai Lucas (243) was from Pontypool, South Wales. His racing was concentrated at Bristol although he did make the occasional trip to Northampton. 6. Eddie Love (203) was another from South Wales. Like Lucas he raced mainly at Bristol. 7. Love changed his number to #68 and made the trip up to Oxford, but a encounter with the fence left him in a spot of bother! 8. 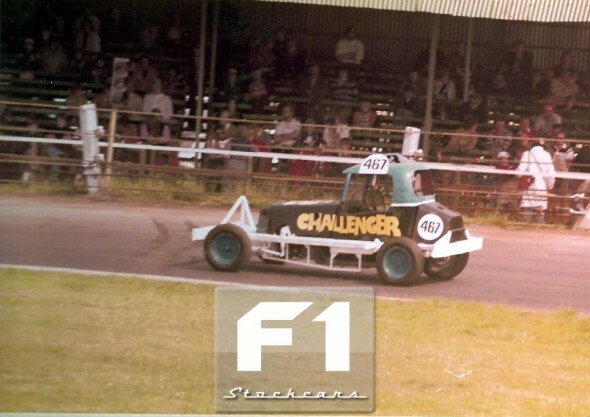 Bill Batten (467) is more associated with F2 racing where he is one of the most successful drivers of all time, but the West Country man did make a few appearances in F1 behind the Stuart Bamforth (3) owned ex Cronshaw, (396) ex Chisholm machine (252). 9. Doug Ripley (319) lived within a stones throw of Brands Hatch in Greenhithe, Kent. Ripley raced for a few seasons but moved on into Drag racing and moved through the ranks right up to Top Alcohol Funny Car. 10. 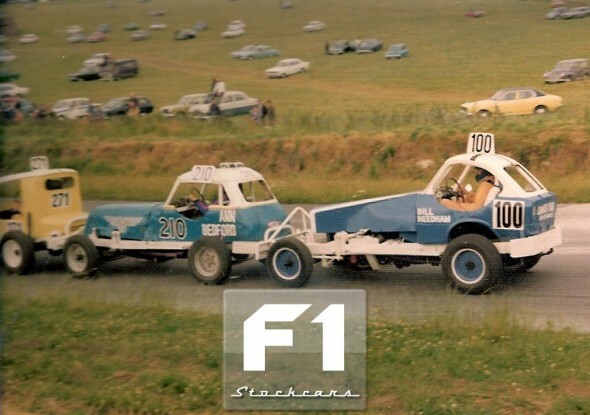 Another man from Kent was Bill Needham (100), Bill is seen here at Lydden Hill along with Ann Bedford (210). 11. Moving across the Thames and into East Anglia, and one of the areas that has produced it’s fair share of champions and innovators. One driver that could stake a claim to both was Suffolk’s Doug Wardropper (5). He won the 1963 World final, of which the Peter Arnold commentary was released on an LP record. 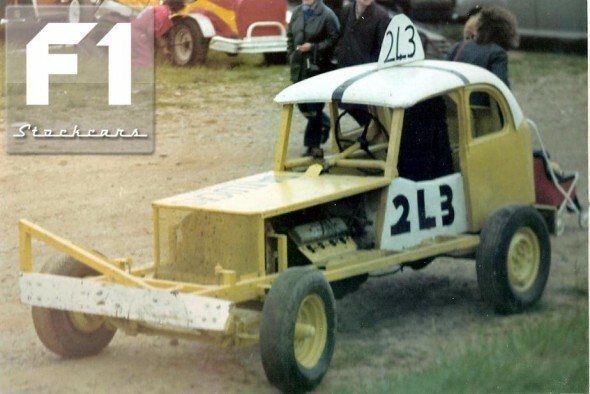 Wardropper travelled to South Africa to race on several occasions leaving the locals there with some of his “trick” parts. 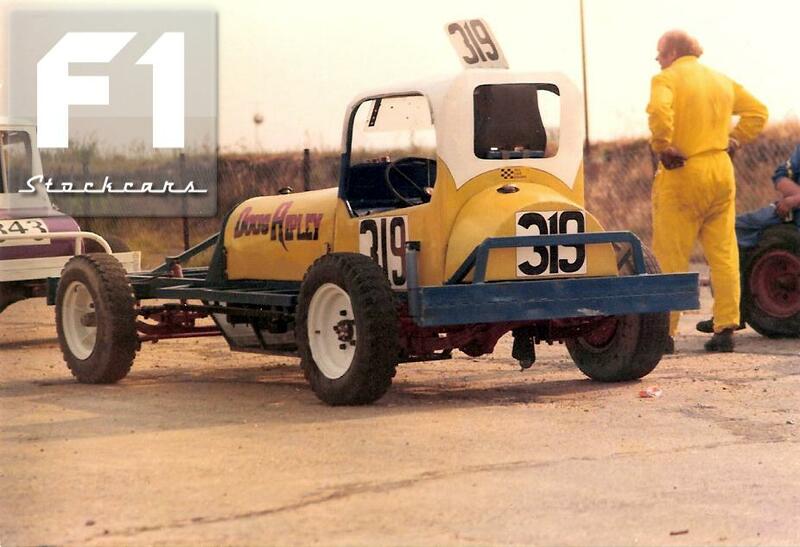 On a later visit to South Africa George Ansell (375) would pick up a Wardropper built carb and fitted it to his UK car, giving him a distinct advantage on tar! Wardropper moved in SuperStox, racing with Spedeworth as BriSCA tracks retreated to the Midland. And along with his son Alan (245) formed Scholar Engines which supplied engines to the Formula Ford series as well as to F2 and Superstox. If you know the original source of the picture below, please get in touch. 12. Ipswich’s Gerry Weir (13) was a one time Wardropper mechanic. 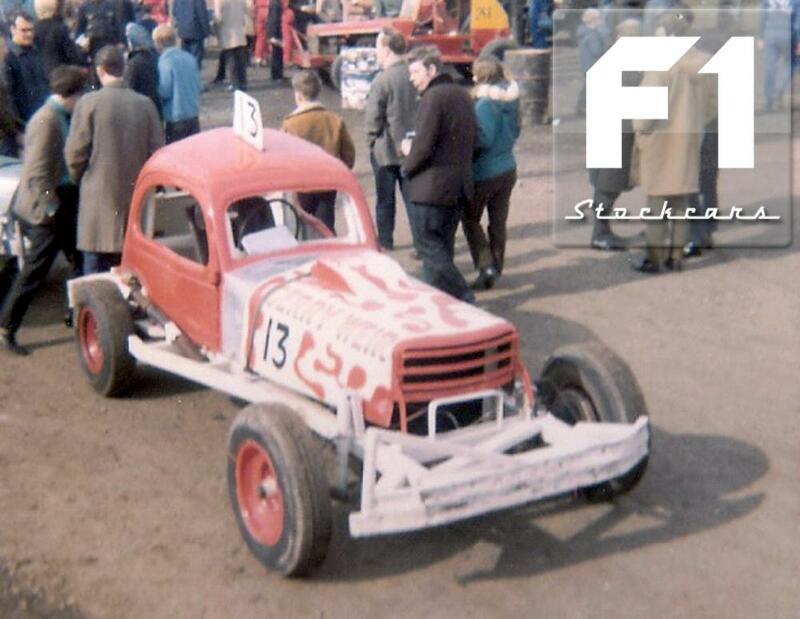 Gerry is seen here at Northampton in a Wardropper built car that carried him to six final wins. The car later went on to Ian Durham when Ian made his move from F2s to F1. 13. Ken Saunders (121) travelled to meetings from Ely, Cambridshire. He is seen here in the thick of the action at Northampton. That is Shady Andrews (245) on his roof. 14. 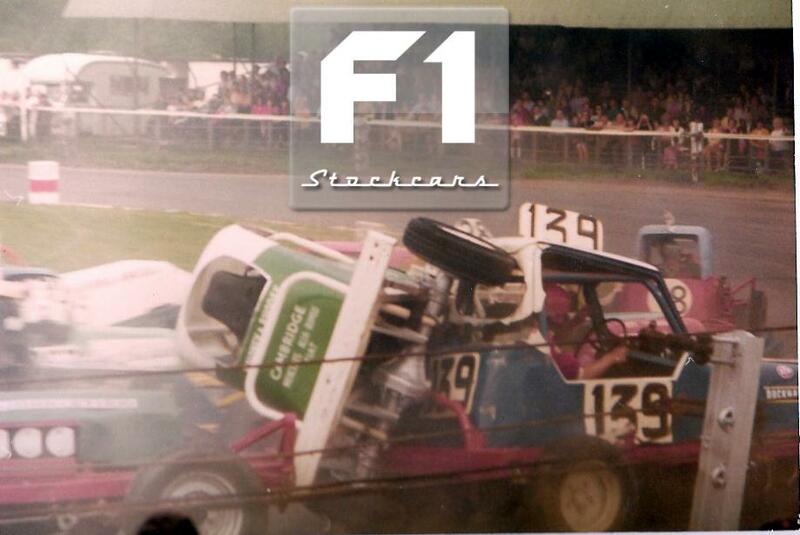 Graham Easy (171) was another driver for Ely and another driver in the thick of the action. 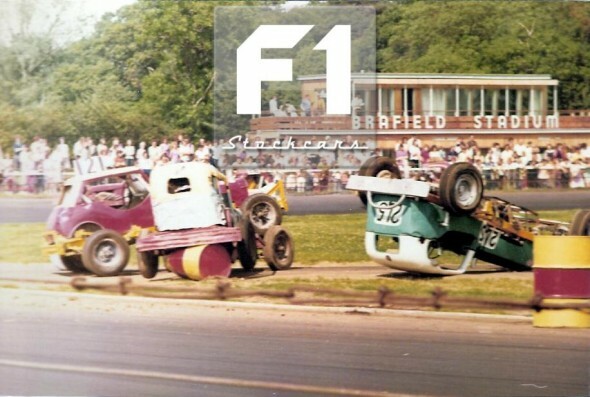 That is Graham in the green car on it’s side. That is “The Other” Stuart Smith (139) in the fence. 15. the original Lincoln Imp, Brian Tuplin (155). Brian was a regular at the Midlands tracks but could also be seen at Aycliffe, Belle Vue and the north west tracks on a regular basis. See Part 1 HERE, Part 2 HERE, Part 3 HERE, Part 4 HERE, Part 5 HERE, Part 6 HERE and Part 7 HERE.